As the biggest of all the film awards ceremonies, the Oscars work as a great litmus test for the film industry at large. Aside from this year’s Oscars being one of the most diverse ever - and controversial given the La La Land / Moonlight award mix-up - it was also surprising to see so many streaming services represented up on stage. Netflix documentary The White Helmets picked up an award for Best Documentary Short for its exploration of the work of the Syrian rescue service of the same name. 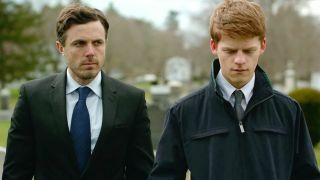 But the real success was had by Amazon Prime Video’s Manchester by the Sea which picked up two awards on the night, one for best original screenplay, and another for best actor - which went to Casey Affleck. Best Documentary was also won by The Salesman, a documentary by Asghar Farhadi and distributed by Amazon Studios. This year the awards have shown what a good job the likes of Amazon and Netflix are doing with their original content. As well as putting out mass-market hits like Stranger Things and Mr Robot, the two companies are also promoting small-budget indie films like those nominated last night. With the amount of money earned by streaming services increasing year by year, expect these to be two names that will crop up more and more at these kinds of awards ceremonies. They are so prevalent to the movie space, that even Amazon CEO Jeff Bezos was given a shoutout by Oscars host Jimmy Kimmel. Joking, he said: “Jeff Bezos is the founder and CEO, and I want to say congratulations to Jeff. Check out our guides to the best Netflix shows and best Amazon Prime shows.